While these dogs are registered by a variety of registries, the text and drawings below were taken from the United Kennel Club's website. 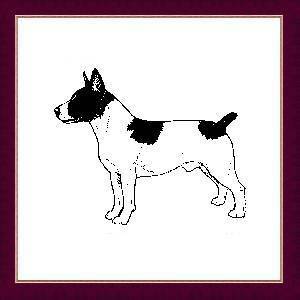 These standards are a good way to illustrate the common base for the three breeds ; note the similarities between that for the Rat and Teddy Roosevelt Terriers, as well as the clear acceptance that the Hairless evolved from the Rat Terrier breed itself. 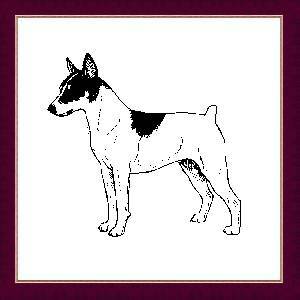 Originally this Terrier was recognized and registered by both the Universal Kennel Club International and the National Rat Terrier Association. It is unclear which of those two maintains the oldest registry database for these dogs (UKCI claims this honor but I didn't find a date on their website) and both still actively register them today. The Rat Terrier is also now in the American Kennel Club's Foundation Stock Service registry, to determine the breed's eligibility for exhibition in their conformation events. For the moment, there is still some minor confusion between the RTs and the TRTs due to their having come from a common registry background, however the breed clubs and fanciers devoted to them are now for the most part concentrating on making them recognizably separate breeds, and for exhibition purposes resulting in titles they are separate breeds. 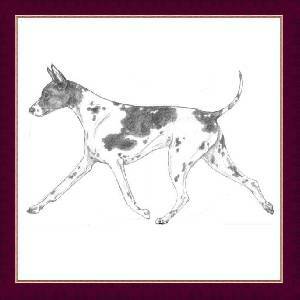 The Rat Terrier was recognized by the United Kennel Club on January 1, 1999. The Teddy Roosevelt Terrier is an American breed descended from the terriers brought over by English miners and other working class immigrants. These versatile terriers probably included crosses between the Smooth Fox Terrier, the Manchester Terrier, the Bull Terrier, the Beagle, the Whippet, the Italian Greyhound, and the now extinct white English Terrier. These dogs were used as ratters, and soon became known as “Rat Terriers.” Two types of Rat Terriers evolved, distinguished primarily by leg length. The short-legged Rat Terriers developed a devoted following and were named in honor of President Teddy Roosevelt, who was once thought to have owned these ratters. The Teddy Roosevelt Terrier was recognized by the United Kennel Club on January 1, 1999.